You have these make-one-think, slam dunk endings that pack a wallop. My latest collection of stories is Still Young – Tales of the Internet, Feb. 2017, the fifth volume of Stories for Older Men and Younger Lovers. It chronicles the adventures of Stillman Young, a 77-year-old gay Internet icon who has been actively sought after online for thirty years. What results is a compilation of the joys and pitfalls of online dating. Still deals with men from all walks of life with all kinds of mindsets, but always manages to enjoy himself in exciting and entertaining ways. I enjoyed writing it; you’ll enjoy reading it. 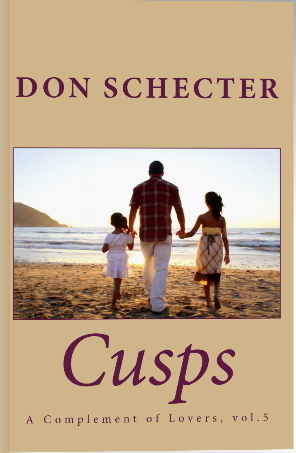 In February 2018, I published Cusps, the fifth novel in the mainstream A Complement of Lovers series. The action takes place in Hawaii, around 1980. 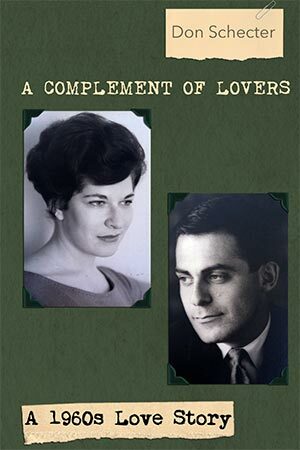 The setting of the novel A Complement of Lovers is the 1960s before America became a sexually open society. A young man in search of himself meets a determined young woman who knows where she’s headed. 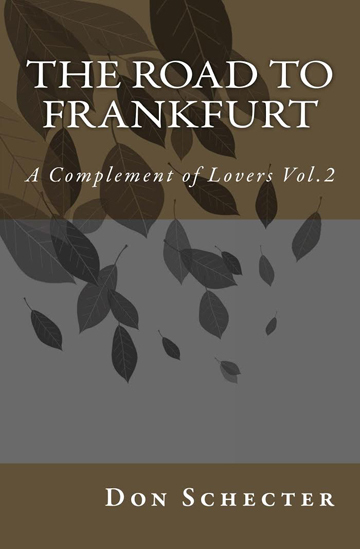 The Road to Frankfurt follows their relationship and the challenges they encounter over the next five years. Uncoupled and Never Promise Forever update their adventures during the next decade as they discover and face truths about each other and themselves. 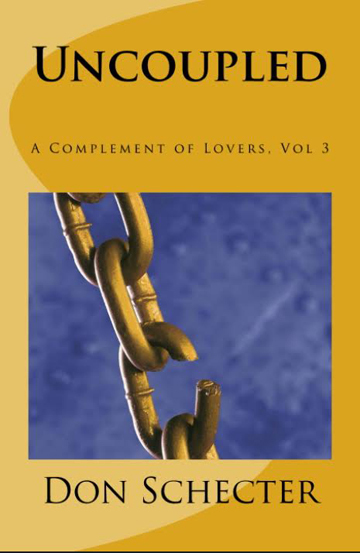 My earlier works in the Older Men and Younger Lovers series were four volumes of short stories/novellas dealing with situations specific to mature gay men and their relationships. I encourage you to collect and read them all. Each story makes an impact. 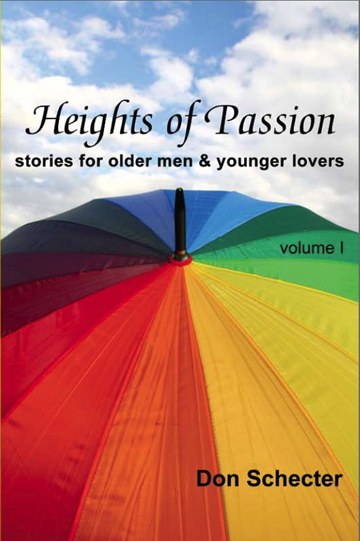 Heights of Passion is fifteen stories about gay men over thirty. 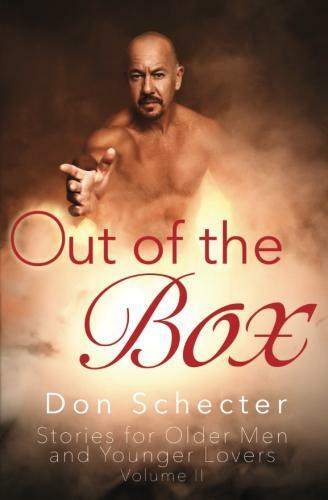 There were so many tales to tell, a year later I published Out of the Box, a second volume of sixteen stories. 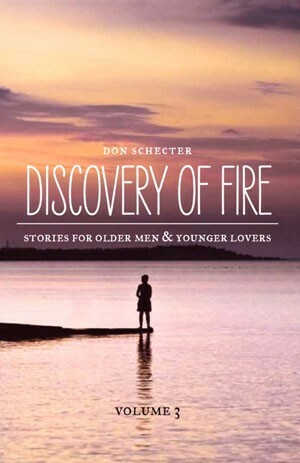 Discovery of Fire, the third collection, comprises seven longer tales. 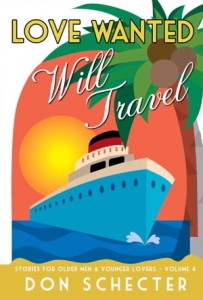 Then Love Wanted, Will Travel cruised in with seven lighter stories of gay men and women searching for romance and finding it.